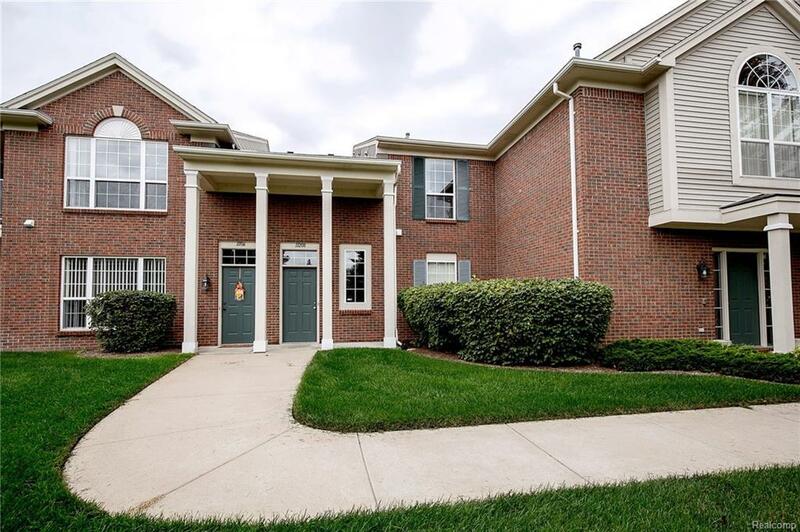 Resort living in Maple Crossing, move-in ready raised ranch condo has all the amenities. Spacious open floorplan (largest floorplan), stunning great room with cathedral ceiling, cornered gas fireplace with mantle, kitchen with eat-in bar, oak cabinets, dual entry to balcony overlooking common area. Master suite with bath and large walk-in closet, Recent updates; new on-trend paint, neutral carpet, furnace, thermostat, newer water heater. Huge laundry for extra storage. Association fee includes; trash pick-up, grounds maintenance, snow removal, access to pool/hot tub. Excellent location near restaurants, shopping and more.